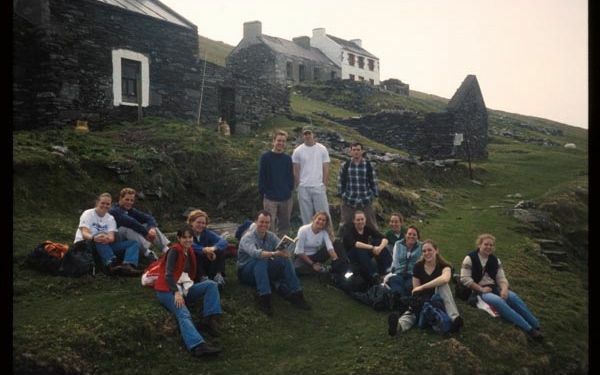 In the spring of 2017, Professor Marc Conner of the English Department and Alexandra Brown of the Religion Department will lead the eighth Spring Term in Ireland Program, “Visions and Beliefs in the West of Ireland.” The program is a four-week term, set entirely in the West of Ireland, focusing on the literature, landscape, religious traditions, and culture of Ireland. 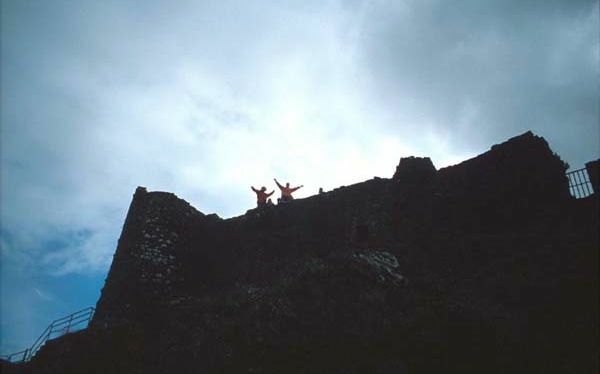 “Visions and Beliefs in the West of Ireland”~ We spend four weeks in the storied and rugged southwest of Ireland, based in Dingle, County Kerry. From here we visit and study the dramatic Irish landscape of the Dingle Peninsula, the Blasket Islands, and the Ring of Kerry; prehistoric burial tombs and stone forts; Celtic and early Christian sites; the great medieval monasteries; Norman and Elizabethan castles; and such lovely Irish towns as Killarney, Dingle, and Galway. We travel throughout the west of Ireland, focusing on sites associated with the great 20th-century Irish writers, such as Yeats’s tower of Thoor Ballylee, Lady Gregory’s estate of Coole Park, and the Aran Islands so beloved of J.M. Synge. We read a range of Irish literature, from medieval poetry and mythic saga to the great achievements of the Irish Revival, such as the poetry of Yeats and the plays of Synge. 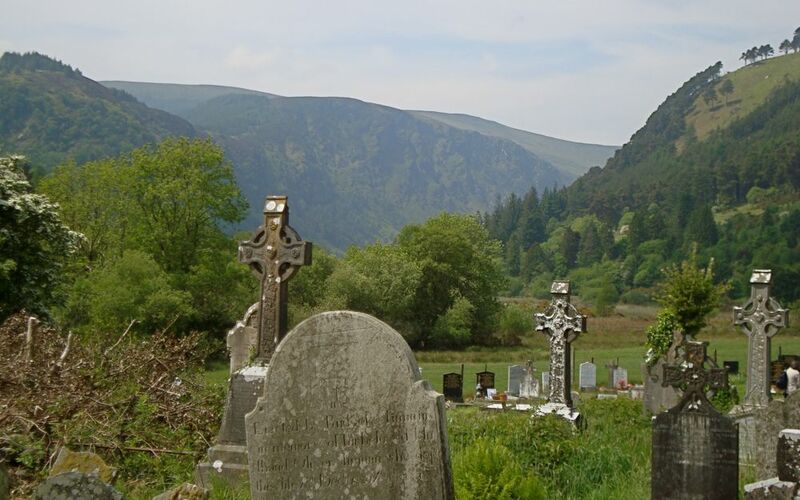 We also focus on the rich and complex religious traditions of Ireland, studying Celtic and Irish Christianity, the Irish monastic tradition, saints and pilgrimage, mysticism, and the visionary experience. The program satisfies the English department learning objectives and meets major requirements for a 300-level English course for Late British distribution; or satisfies the Religion department’s Religious Traditions: Christianity requirement, as well as the “Religion and Literature” cluster; and the FDR-HU requirements. 4 credits in English or Religion at the 300 level: English 387/Religion 387. Winter Term Preparation Course: “Interdepartmental 301: The Irish World in Literature, Religion, and History.” ~ All students participating in the Spring Program will also take this 3-credit winter term 300-level course. In this class, we will read a range of Irish literature and works of Irish religious history and spirituality to gain a strong background in the Irish writers, religious figures, sites, and practices we will study in Ireland. We will also study several works of Irish history and culture, and will view a number of Irish films, along with projects in Irish geography, politics, art, and music. 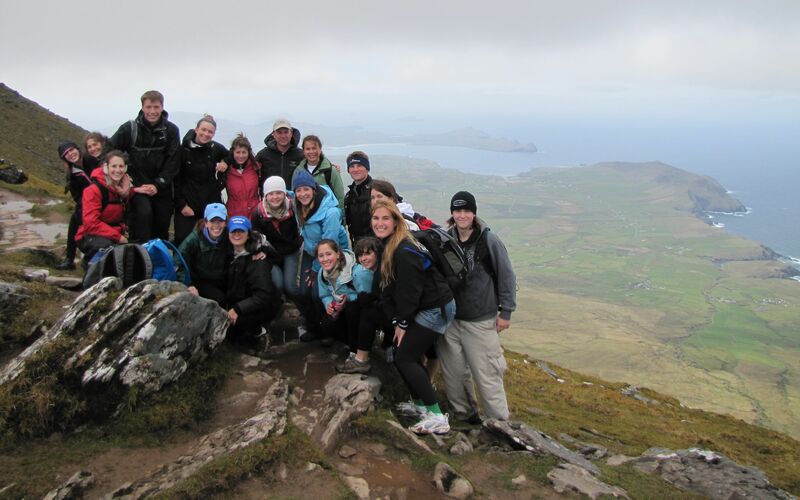 The goal of this course will be to prepare students in as full a manner as possible for the 4-week Ireland experience. The Winter term course is a required part of the Spring Program. 3 credits in INTR at the 300 level / can count towards either the English major or the Religion major / fulfills the FDR-HU requirements. Prerequisites: Writing 100 or equivalent. Non-majors are very welcome; all classes, from first-year to senior, are welcome. For more information, contact Professor Conner at connerm@wlu.edu and Professor Brown at browna@wlu.edu. For previous versions of this course, please view: http://ireland.academic.wlu.edu.